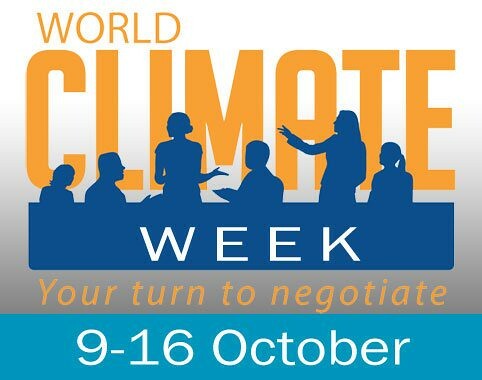 From 9-16th October 2016, Climate Interactive and partners held the World Climate Week. The idea was to foster discussions around climate change one month before COP22 while engaging people with the World Climate Simulation of the UN climate talks. 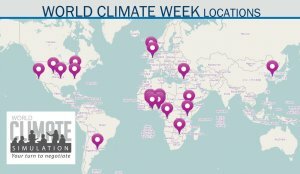 With 36 simulation events worldwide and almost 2000 participants, World Climate Week was a huge success. At Climate Interactive, we were amazed to see such mobilization from all of you. THANK YOU for all the energy the facilitators, organizers, and participants put into this week, not only by organizing simulations but also by being so active on social media sharing your results and developing a dynamic community of people sharing these resources. This week was also an occasion to share more about the dynamic people that are making the World Climate Community and sharing the insights. We discovered how Dr. Carla Gulizia uses World Climate to motivate students in Argentina. We read the story of Sarp Çelebi from Turkey and why everybody should be concerned about tackling climate change. We learned more on what participants think of World Climate across the globe. More articles from the World Climate Community on the blog. While World Climate Week is over, we encourage you to look for opportunities to run the World Climate Simulation when you can. There will be many more simulation events occurring in the coming weeks, for example, as the world prepares for the climate talks in Morocco in November.